NEW ROOF IN 2016. NEWER AC 2012, NEWER WINDOWS 2014. This LARGE 3 bedroom/ 2 bath /2 car garage /split plan home has plenty of room for family and entertaining friends. 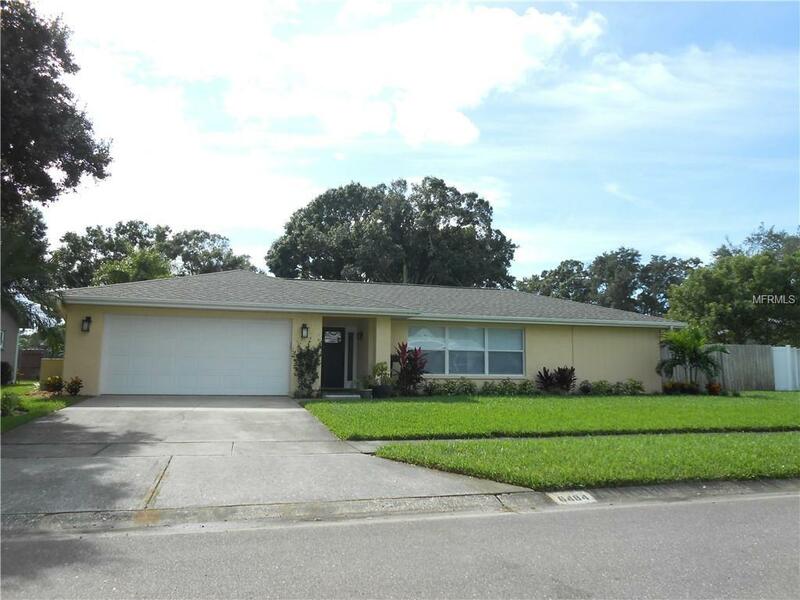 Centrally located in the desirable and highly sought-after HOLIDAY PARK subdivision in St. Petersburg, this home is close to shopping, bus lines, parks, schools, restaurants and just minutes from the beaches. What I like about this house is the spacious and open floor plan. The house has a large 20 x 11 living room which joins a 11x 10 dining room area. The centrally located kitchen opens onto the dining room, a large 21x11 bonus room and a large 17 x 15 family room. The Master bedroom measures 18.5x12 with a 7x5 walk-in closet, and a master bath which includes a tub. The 14x11 second bedroom features a large "his and hers closet and the third bedroom which measures 13.5x 12 has a 5x5 walk in closet. With a newly upgraded guest bathroom, a large 11x7 inside laundry room, tile, wood laminate and carpeting throughout the house, a 22x12 covered patio, a 20x20 double garage with garage door with opener, and a fenced backyard, this house is clean, comfortable and ready to be lived in. Listing provided courtesy of Sea Gull Real Estate Services.